I would use the mug for dark roast coffee. I guess I am on the Dark Side with Black Coffee every morning. I would fill it with a mocha. I would put hot chocolate in it. I would put latte in in. I would drink peppermint hot cocoa from this mug. I would put apple cider in this mug. I would drink my morning coffee in this mug! I am putting in very hot coffee with Caramel Creamer! Coffee, tea or hot cocoa! 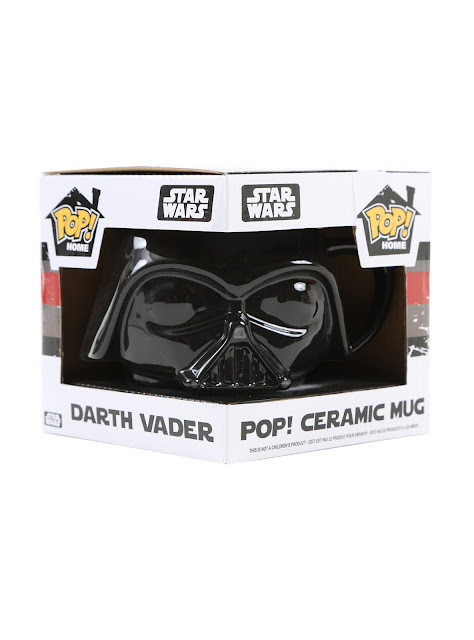 I would put coffee in the Darth Vader mug! I would give this to my husband. He would use it for his coffee and love it. I would fill it with hot chocolate with marshmallows! Starbucks Verona Roast with Italian Sweet Creamer! I'd put coffee or hot chocolate.